Neutrinos are known as the “ghost particle.” Even though countless numbers of the subatomic particles rain down from the sun, supernova, and other cosmic sources every second, they are difficult to detect because of their weak interactions with matter. Physicists at the Oak Ridge Laboratory were able to take the first measurement of a neutrino interacting with the nucleus of an atom. Their results were published this week in the journal Science. Neutrino detectors that hunt for high-energy cosmic neutrinos are often larger apparatus buried deep underground. But this group of scientists used a small detector that captured low-energy neutrinos coming from a manmade source. Kate Scholberg, a physicist and an author on that study, describes how the team was able to capture this elusive process, and how this observation could be used as a model for understanding neutrinos formed from cosmic sources. Kate Scholberg is a professor of physics at Duke University. She’s based in Durham, North Carolina. IRA FLATOW: This is Science Friday. I’m Ira Flatow. Consider the neutrino. Do you know what they are? They’re ghostly particles that millions of them rain down on us every second from space, but you can’t feel them or see them and they’re pretty hard to detect, too. Scientists have built huge detectors encased in Antarctic ice. They have buried sensors miles down in abandoned mines to try and get a glimpse of these particles, but they’ve never caught them in the act of collision until now. A team of scientists using a small detector, a tiny little thing, at the Oak Ridge National Laboratory in Tennessee to measure a neutrino smashing into a nucleus for the first time. This week, the results were published in the journal Science and my next guest is an author on that research. Kate Scholberg is a Professor of Physics at Duke University. Welcome to Science Friday. KATE SCHOLBERG: Thank you. Delighted to be here. IRA FLATOW: Now, we know this idea of a neutrino hitting the nucleus of an atom was predicted 43 years ago. Why has it taken so long? KATE SCHOLBERG: Well, it’s an interaction that actually has, surprisingly, a really high probability of interaction with a nucleus. At low energy, neutrinos have long wavelengths– so it’s kind of like light having a long wavelength– and they see the nucleus like a big blob and actually have a very high probability of interacting compared to most neutrino interactions. 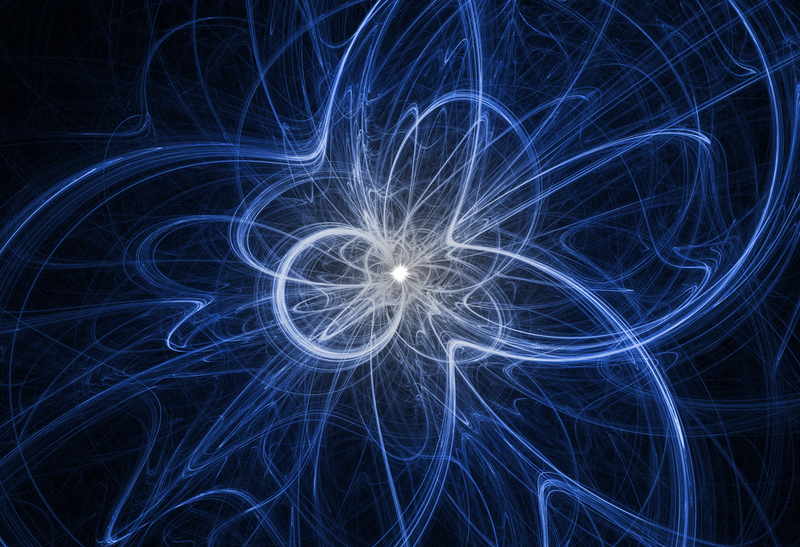 Neutrino interactions are famously rare. Neutrinos are famously just slide right through things. But in this case, at low energy, it’s actually pretty large probability of interacting. But the reason it’s been so hard to see is that it’s kind of like throwing ping pong balls at a bowling ball. It’s really easy to hit the bowling ball, but it’s hard to make the bowling ball go very fast. And the tiny little recoil, the little tiny energy that the nucleus gets, is really hard to see in a detector. And now we have detector technology that’s actually been developed for looking for dark matter– that’s another elusive kind of particle, if it exists at all– and these detectors are specifically designed to look for these little tiny bumps atomic nuclei get when the neutrinos hit them. IRA FLATOW: So your detector is a little bit like a desktop device. It’s like a maker thing, people. KATE SCHOLBERG: It’s only barely bigger than a breadbox. It’s really, by neutrino detector standards– I work on other neutrino detectors that are thousands of tons, literally, and this is a really tiny one by neutrino standards. IRA FLATOW: And you had a brilliant idea. If I might summarize and tell me where I’m wrong here, your idea was why not go to where we make neutrinos in abundance here on Earth instead of waiting for them to come out from space and put your tiny little detector up close were they’re being made on the cheap and detect them coming out. KATE SCHOLBERG: Yeah. That’s exactly right. This is at a facility called the Spallation Neutron Source which was actually built for an entirely different purpose. It was built to actually create neutrons to do all kinds of different science materials, science and biology and all kinds of things. But as a byproduct– actually, just for free– it also is probably the world’s most beautiful neutrino source in this energy range. It actually a gorgeous source of neutrinos. It makes neutrinos. When protons smash into this huge mercury target, they make particles that decay into neutrinos with a really well understood spectrum of energy. And so it’s extremely clean and the neutrinos come in these really sharp bursts so that you know exactly when the neutrinos are coming which is a great advantage when you’re trying to do an experiment for very rare interactions. And it’s really just been a sweet spot. We’ve really found the perfect source and we have the great detectors to see them. IRA FLATOW: So what was the aha moment and someone is saying, maybe, we do it this way with this detector? KATE SCHOLBERG: Oh, gosh. Well, there have been a lot of people involved. I think the first ideas to use the neutrinos from this particular source was some of my colleagues a couple of decades ago, at least. To actually use it for coherent scattering, this kind of source was proposed, I think, in the early ’80s, in fact, but I think nobody had thought about the Spallation Neutron Source until about 12 years ago when I was actually at a conference and somebody gave a talk and said, hey, this interaction has never been observed. And I thought really? That was really surprising to me. Nobody had seen this really relatively common interaction. And then I realized that the neutrino detector, the wind detector technology, was now good enough that you could actually see a little kick that the nuclei get when the neutrinos hit them. KATE SCHOLBERG: Oh, yeah. Yeah. I think a victory dance is certainly it. Yeah, it’s been really exciting and it’s kind of a beginning of a whole set of new experiments that are now on the horizon. IRA FLATOW: Well, why do we need– it’s a ghost particle, it doesn’t do much with us– where does it fit in? Why is it important to know about it? KATE SCHOLBERG: Oh, there are so many aspects so I’ll just name some of them. Well, one thing is that neutrinos are fundamental particles. And so if we want to understand the fundamental physics of nature, if we want to understand what the basic particles are and how they interact, we have to understand neutrinos because they are some of the fundamental particles along with protons and electrons and so on– quarks and electrons and so on. So just understanding the basic properties of neutrinos is part of understanding nature and I’m a particle physicist and so I care about that a lot. So that’s one reason and, in fact, what this kind of experiment can do is actually set constraints on the standard model of particle physics which is kind of the framework that particle physicists work with. And then, in fact, for actually quite a long time now, there haven’t been a lot of chinks in the basic framework. I think we’d all love to see something that’s beyond the standard model so that’s certainly one thing. Another thing is that neutrinos are involved in astrophysical processes. And if you’re interested in how stars live their lives– how they’re born, how they die– neutrinos are deeply involved in those processes and you have to understand the properties of neutrinos if you want to understand those events and, in fact, if you want to detect them, too. IRA FLATOW: Wow. You sound like you have a long term love affair with neutrinos. KATE SCHOLBERG: Yeah, I love neutrinos, that’s certainly true. IRA FLATOW: Why? I mean, why pick neutrinos of all the subatomic particles? KATE SCHOLBERG: Well, I love them all, of course. But neutrinos are elusive, they’re involved, they touch so many corners of the universe that they’re just really appealing. IRA FLATOW: Do they do they deserve the name the ghost particle? KATE SCHOLBERG: Oh, I think so. I mean, they do just zip right through everything and very, very few of them ever interact. The chance of a neutrino from the atmosphere of the sun interacting in your body over your whole lifetime is maybe 50% so it’s very rare, but there is just literally hundreds of trillions of them going through you all the time. So yeah, they’re really exotic, but they’re real and we can see them in our detectors. IRA FLATOW: Well, I know I’m talking to you from Fermilab which must love neutrinos along with you. KATE SCHOLBERG: That’s right. Yep. IRA FLATOW: Well, good luck and please, we’ll check back in with you when you get some more results. IRA FLATOW: And congratulations to you and your whole staff and your colleagues for this discovery. KATE SCHOLBERG: Oh, thank you very much. Been a pleasure. IRA FLATOW: You’re welcome. Kate Scholberg, Professor of Physics at Duke University.